We produce all sort of bench vices. These bench vices made of casting & steel. 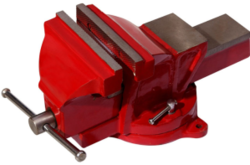 We offer Fixed Base Bench Vice . 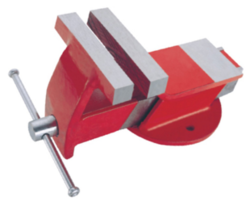 The Vice body is made up of high tensile grey cast iron and jaws are made up of carbon steel. 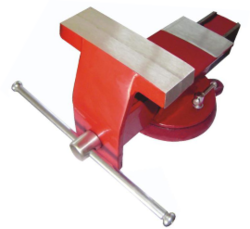 We offer Fixed Base Steel Bench Vice. These Vices are manufactured from high tensile mild steel plates and face jaws are manufactured from high carbon heat-treated steel. 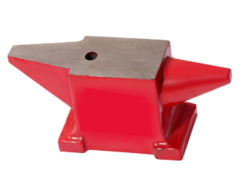 We offer Swivel Base Bench Vice. The Vice body is up made of high tensile grey cast iron, jaws of carbon steel. Its Low profile 180°swivel base locks at any desired angle. Manufactured from high tensile mild steel plants.Face Jaws are manufatured from high carbon heat treated steel. Vice Body made of high tensile grey cast iron .Jaws of carbon steel. Manufatured from high tensile mild steel plates.Low Profile 360 degree,Swivel base locks at any desired angle.Face Jaws are manufatured from high carbon heat-treated steel. 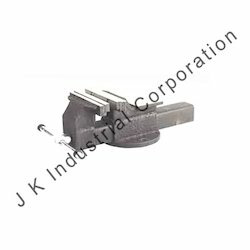 Vice Body made of high tensile grey cast iron.Jaws of carbon steel.Low profile 180 degree,Swivel Base Locks any desired angle.